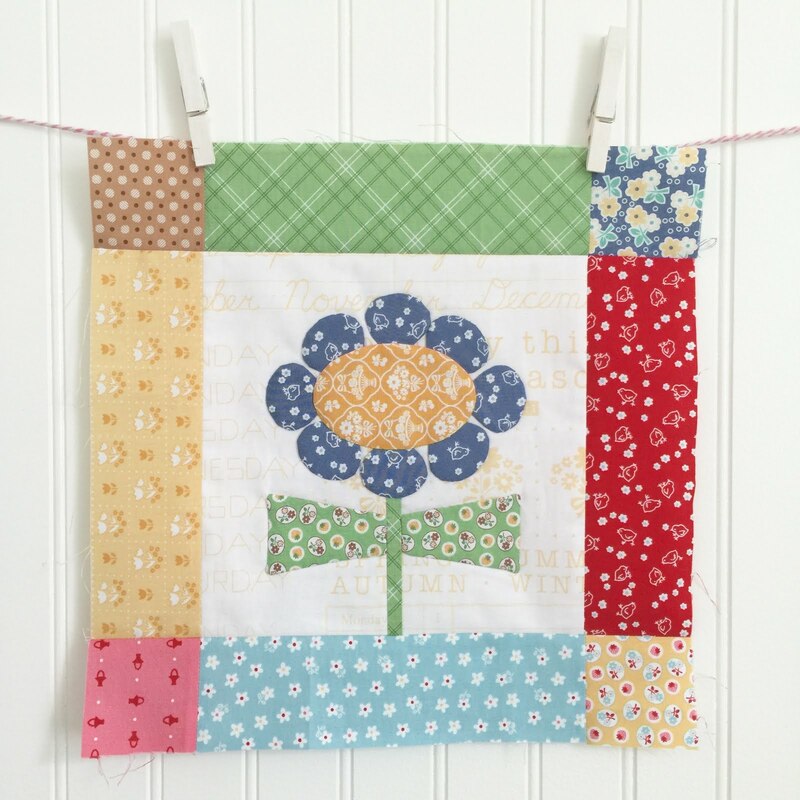 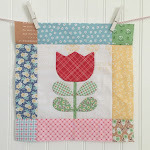 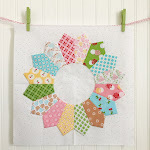 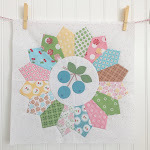 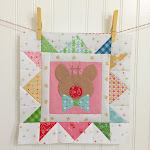 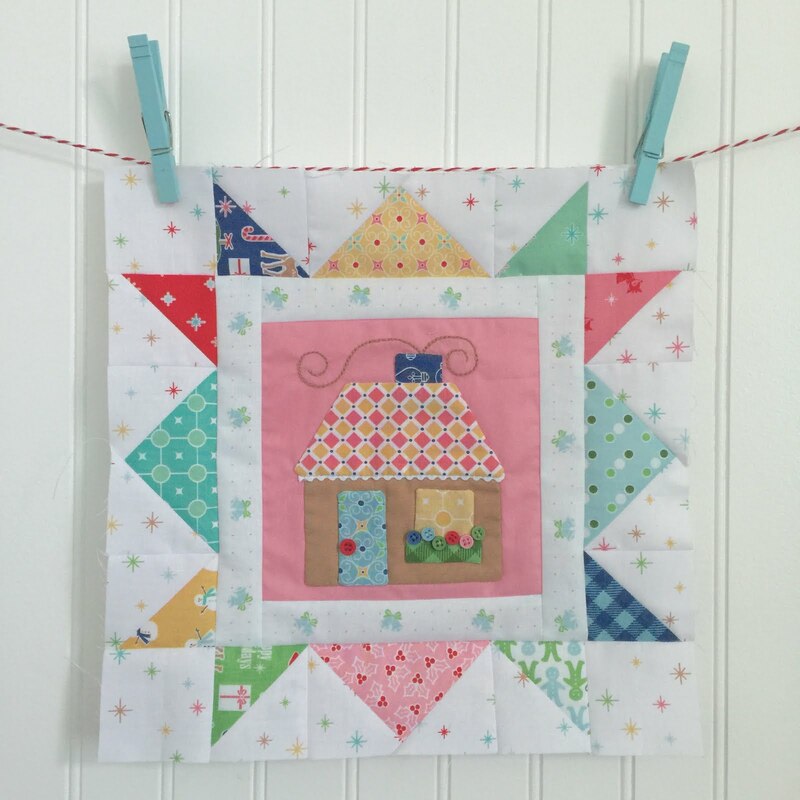 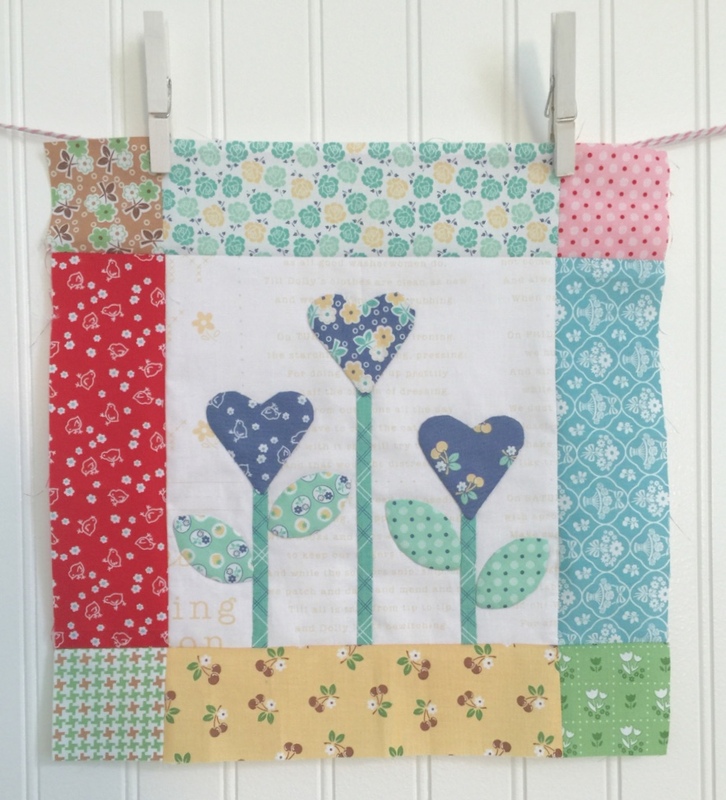 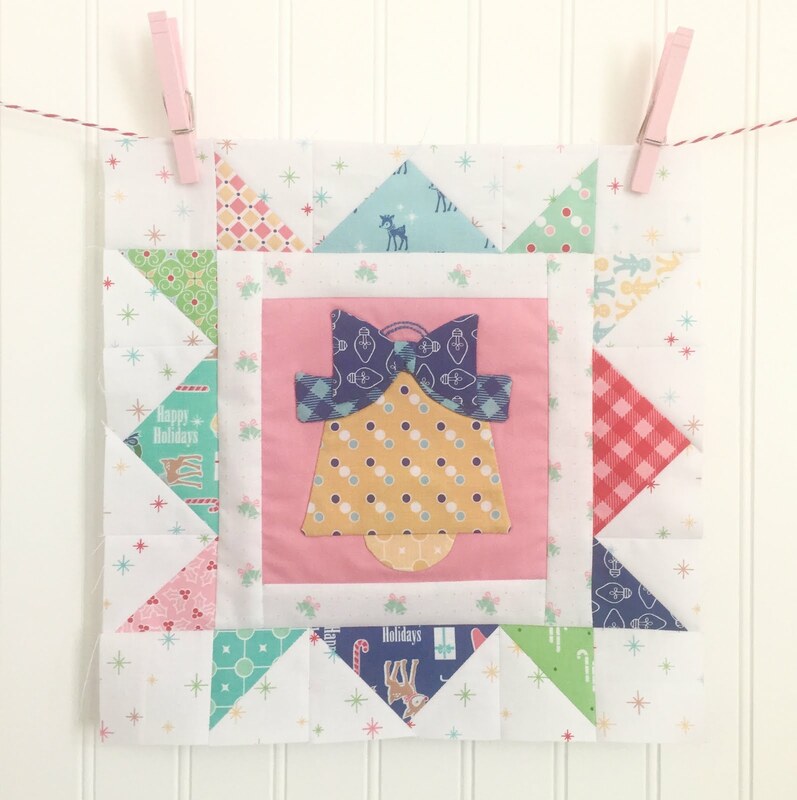 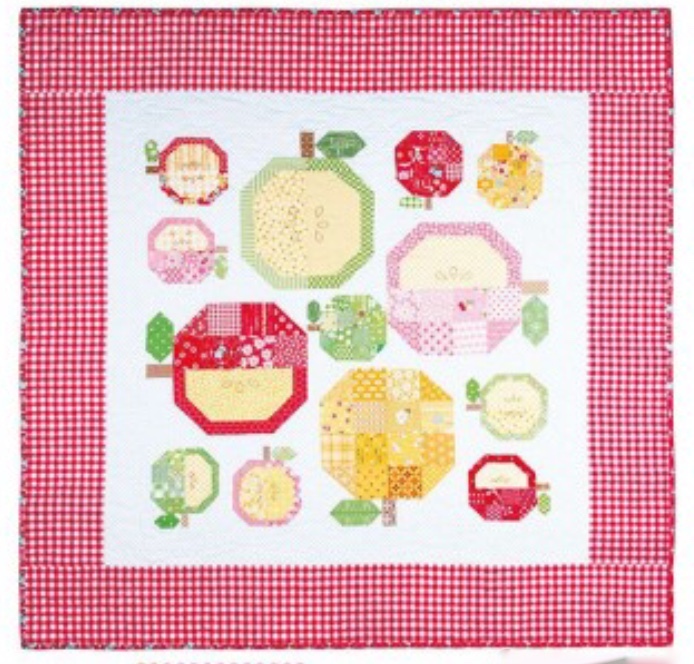 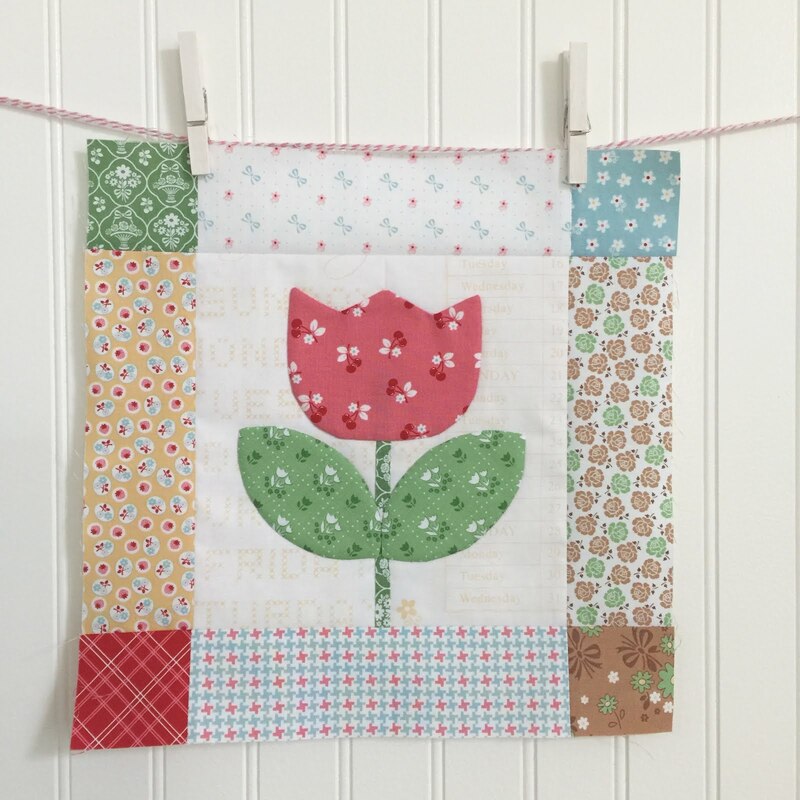 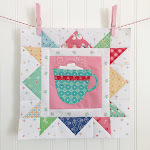 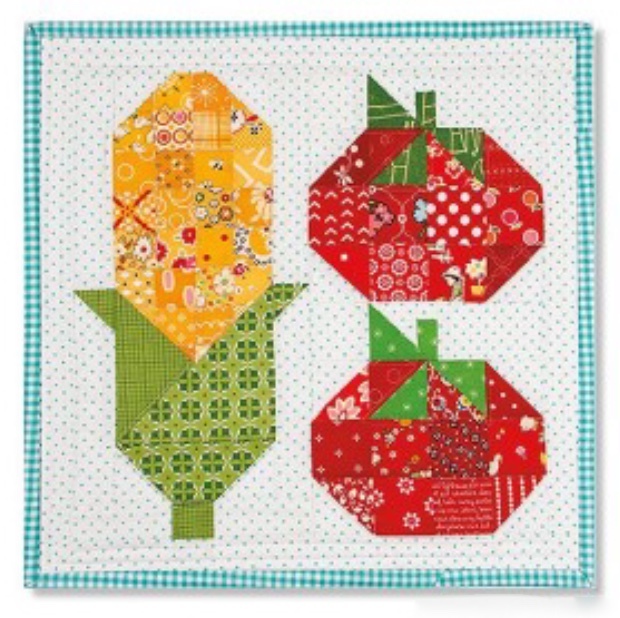 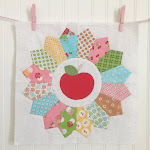 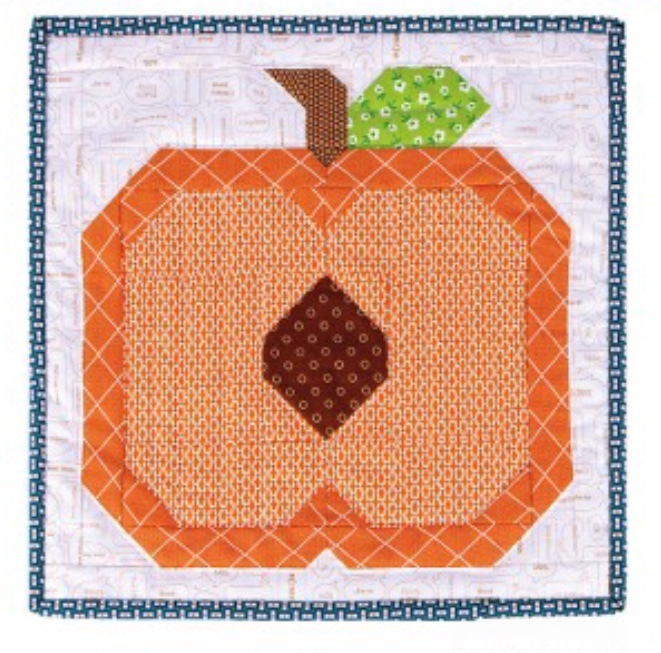 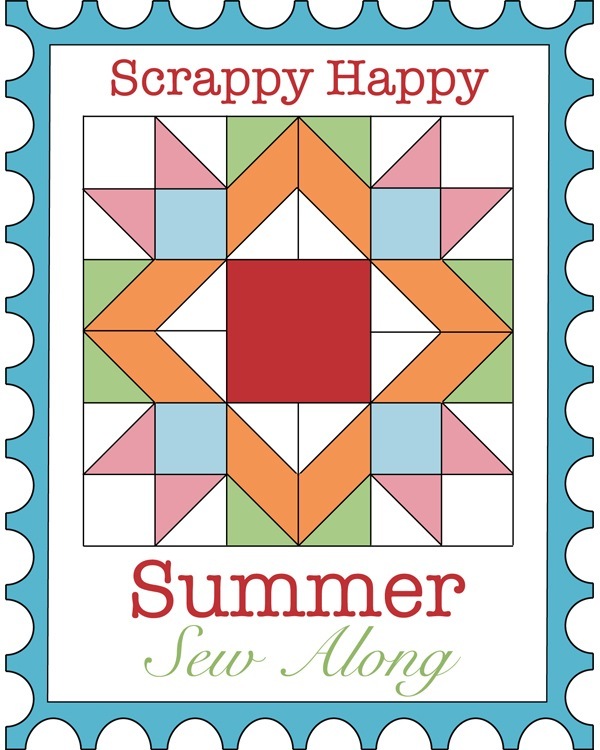 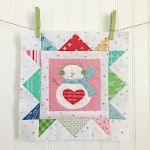 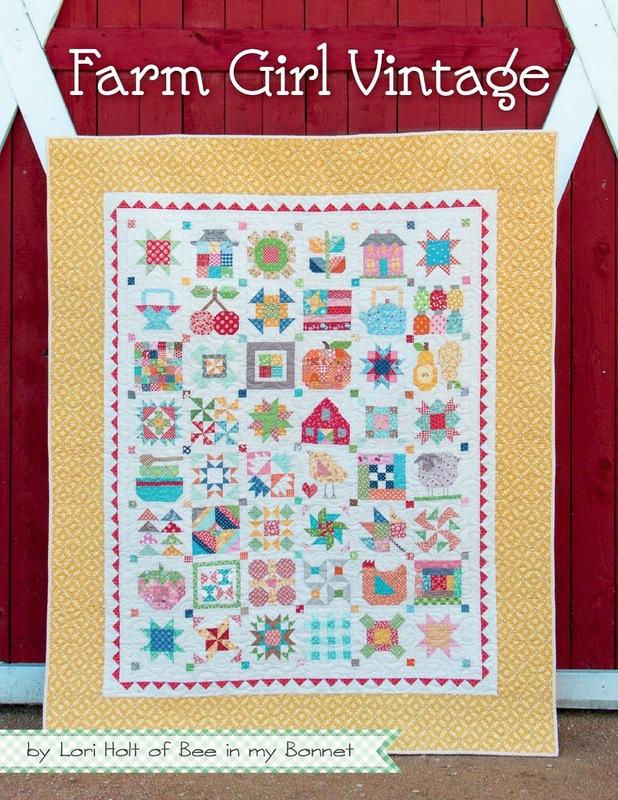 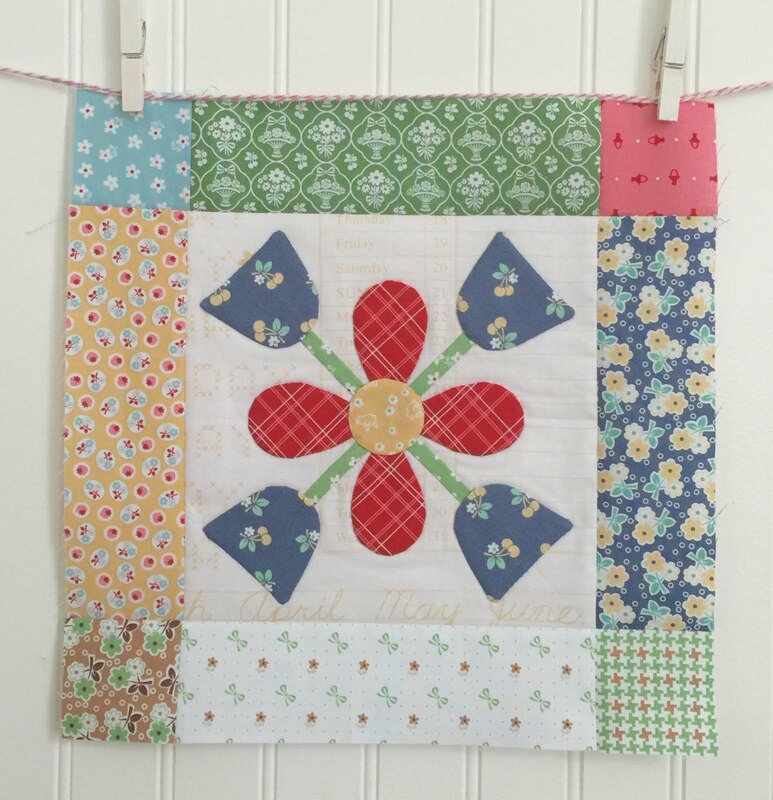 Bee In My Bonnet: Cozy Christmas Sew Along - Week Three - Block Three!! 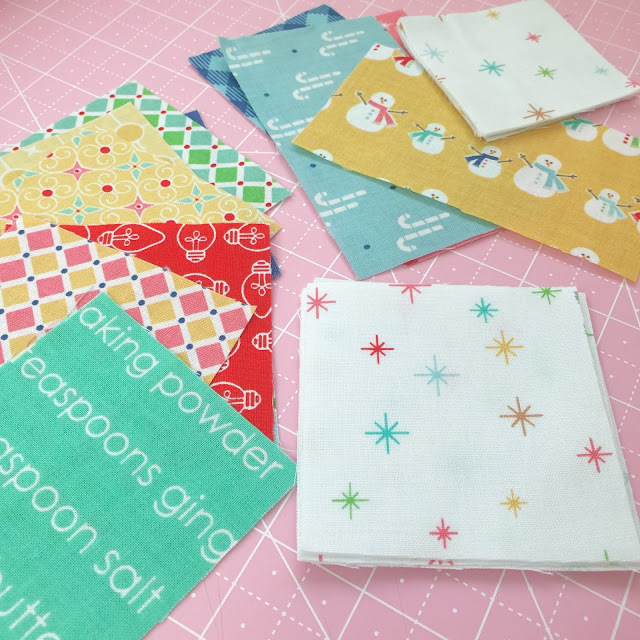 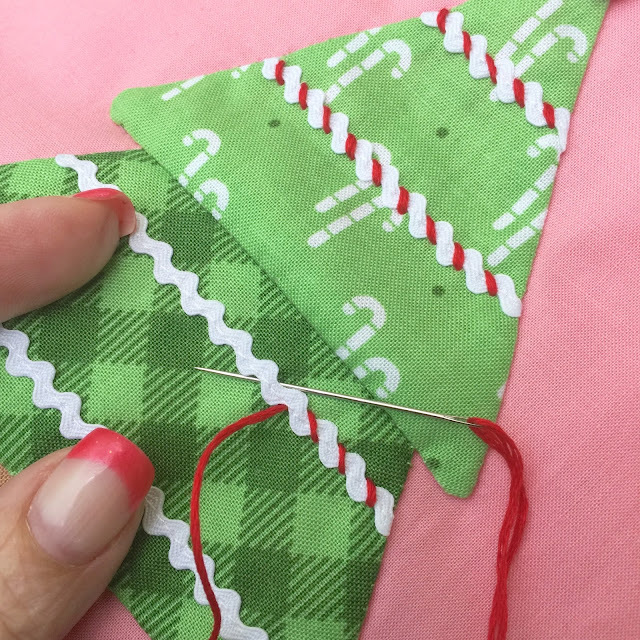 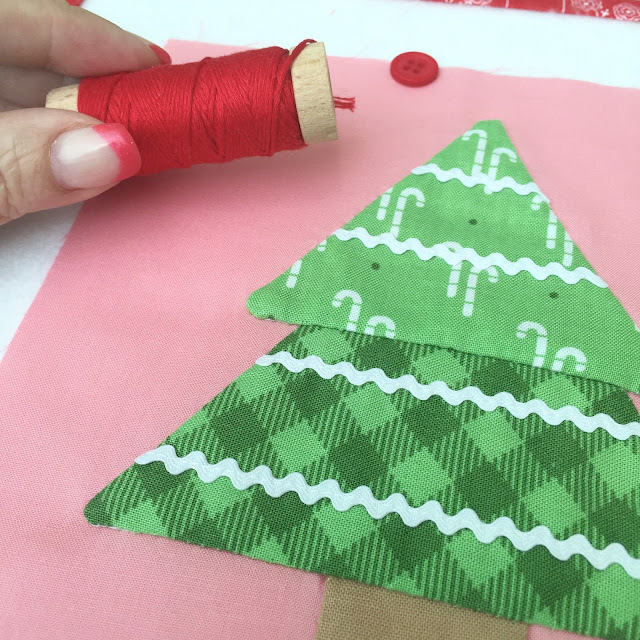 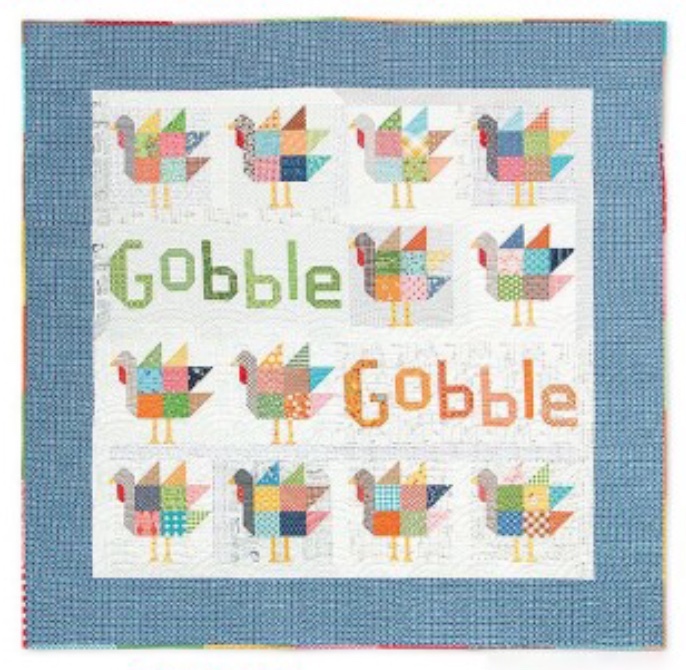 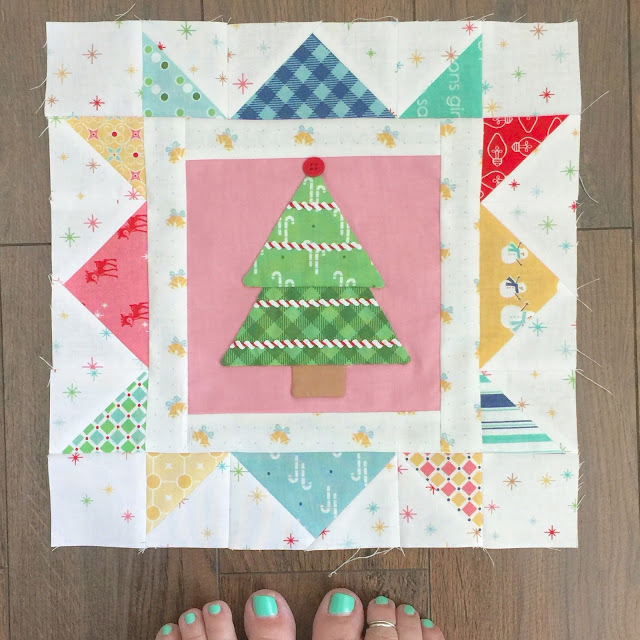 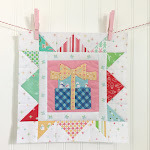 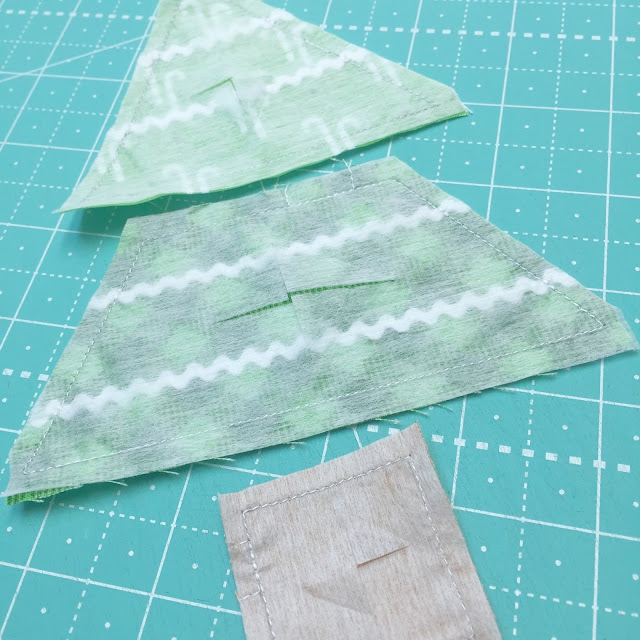 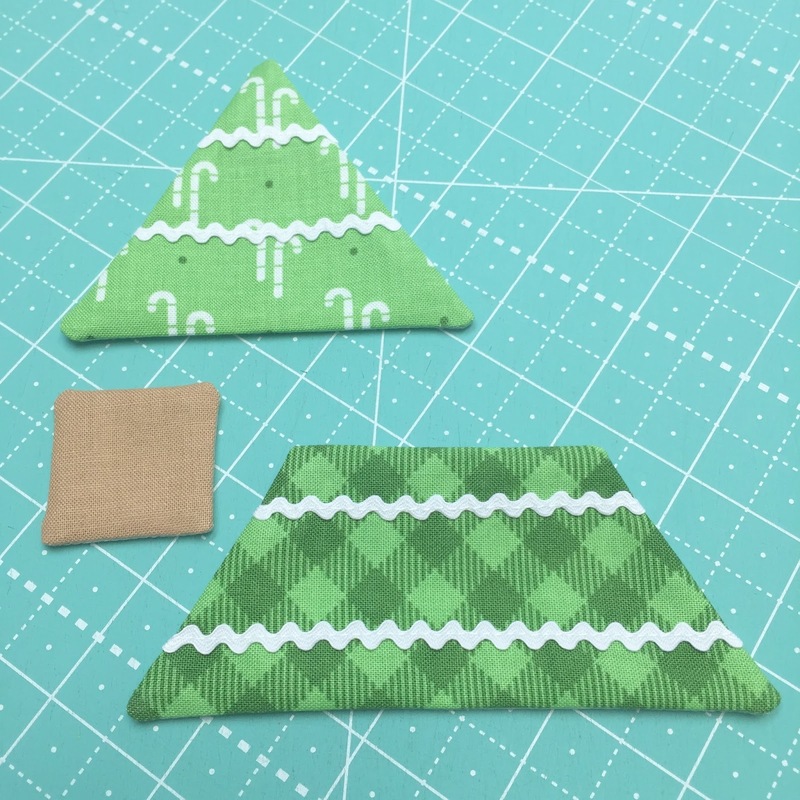 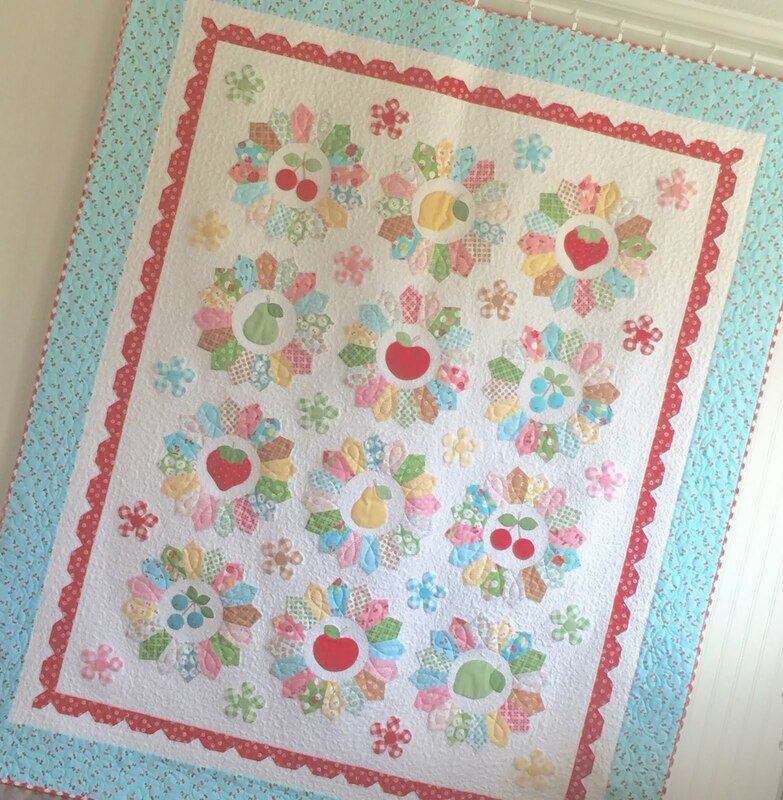 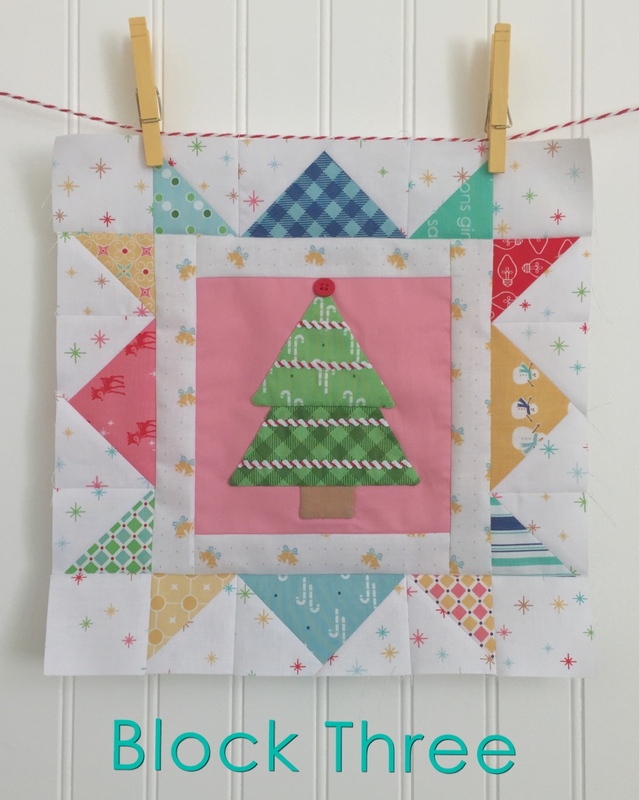 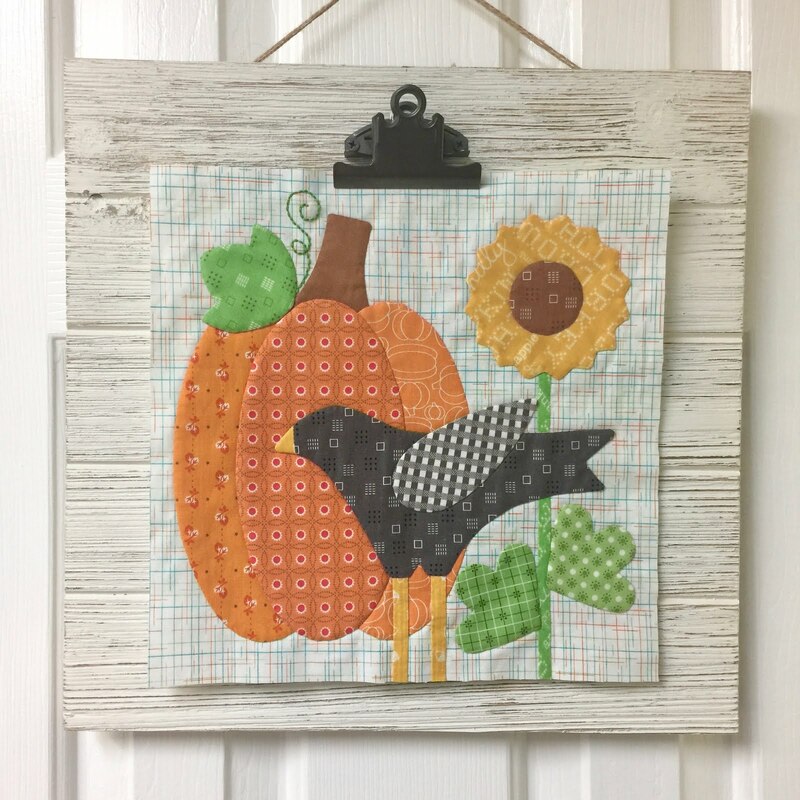 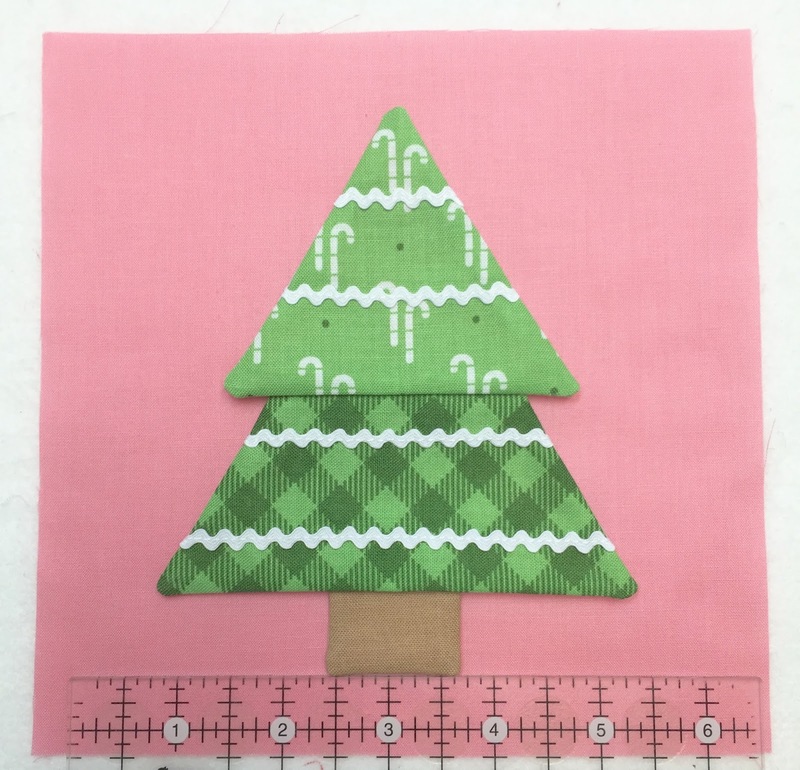 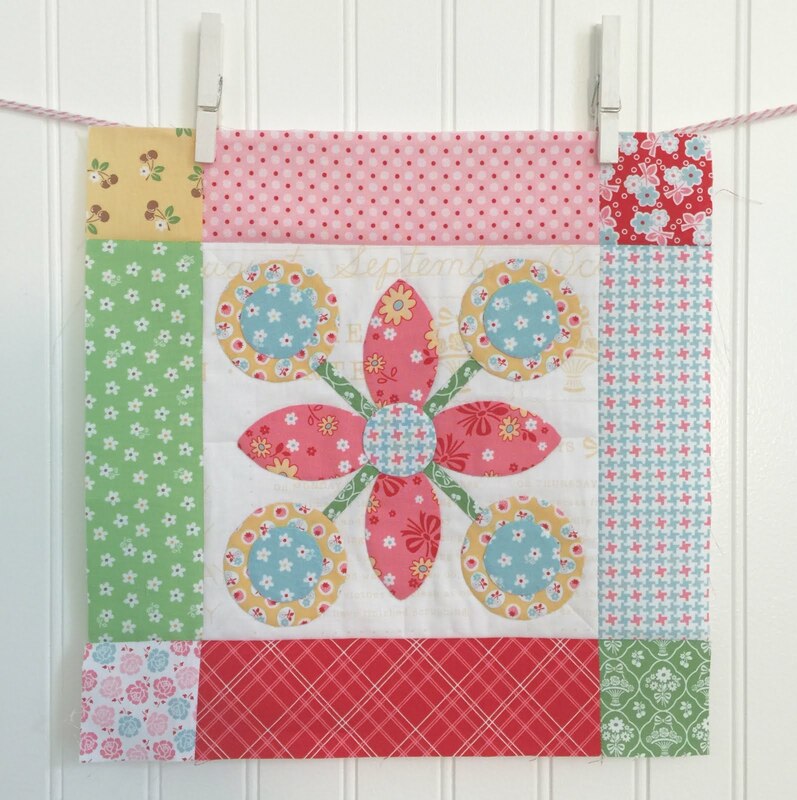 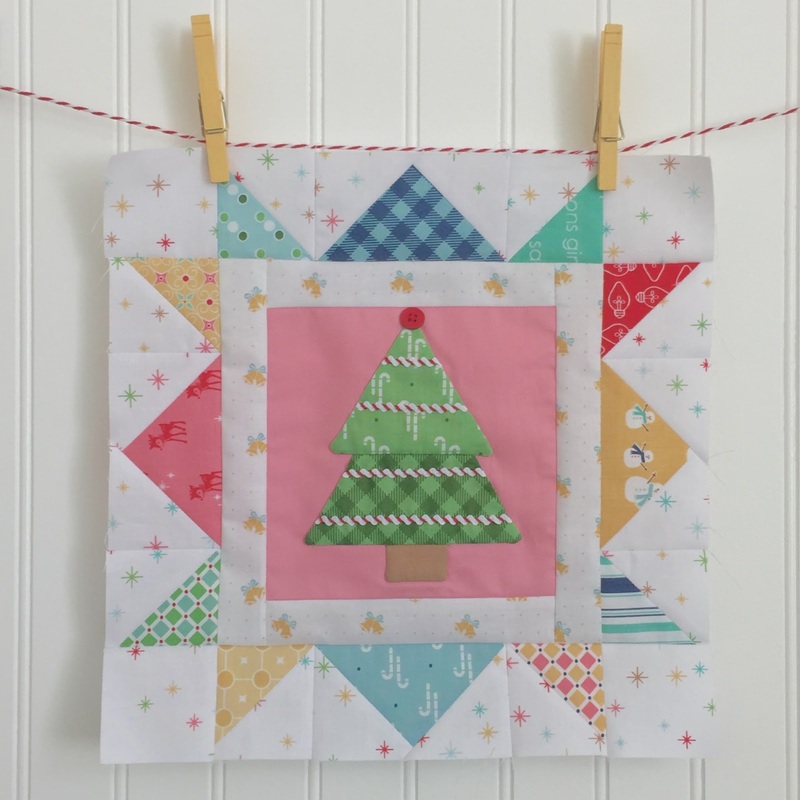 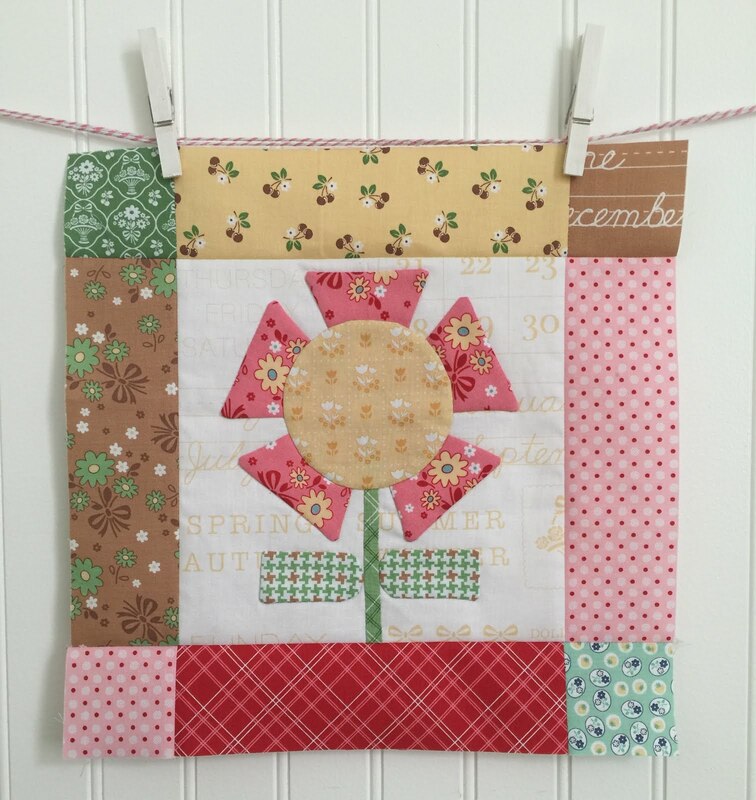 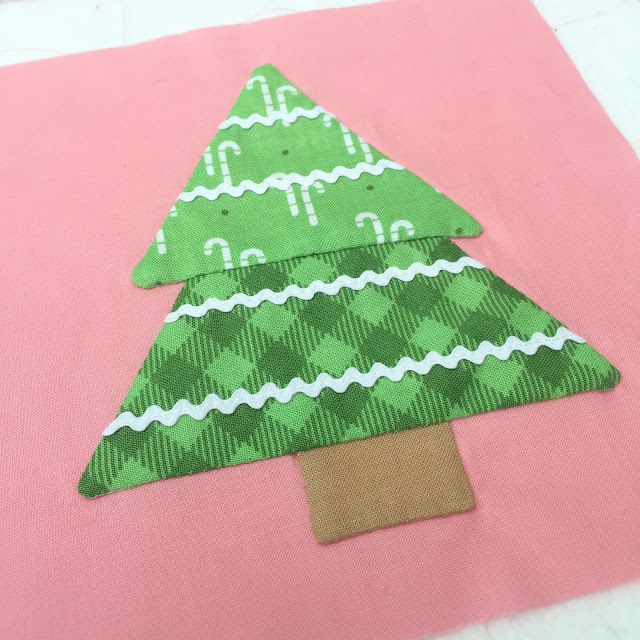 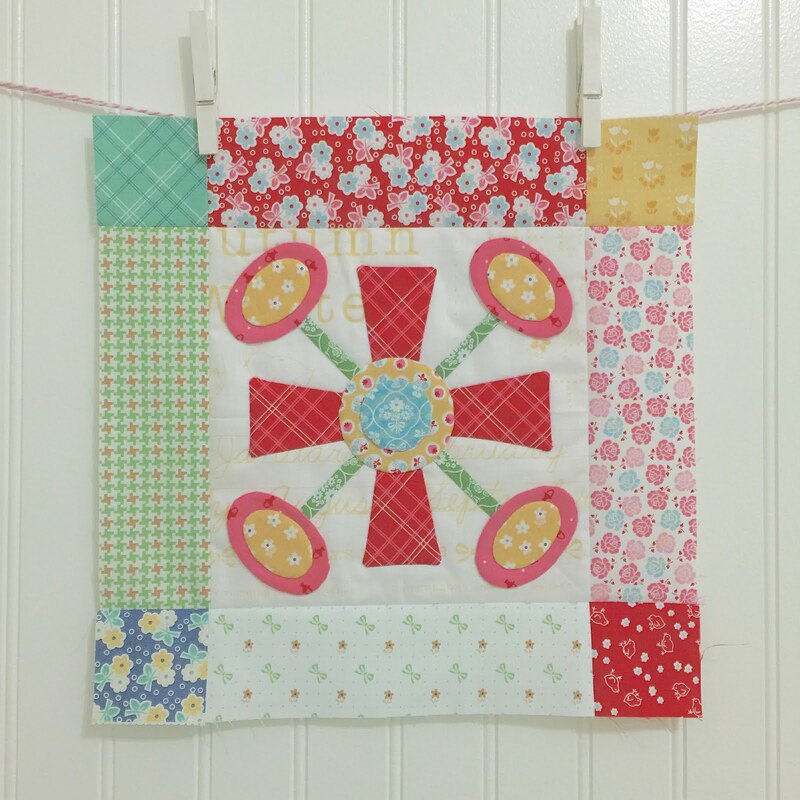 Cozy Christmas Sew Along - Week Three - Block Three!! 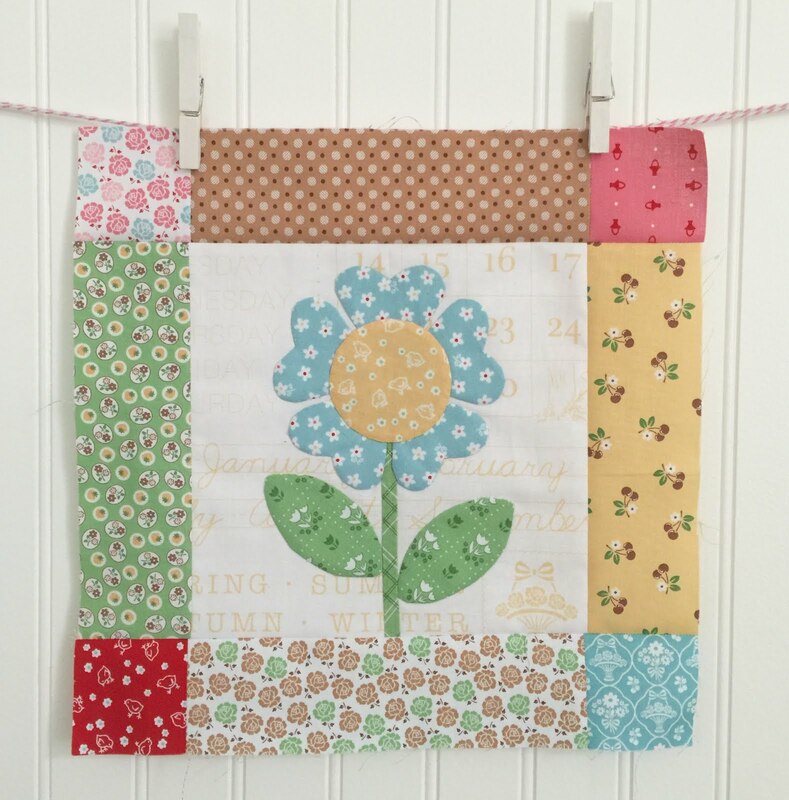 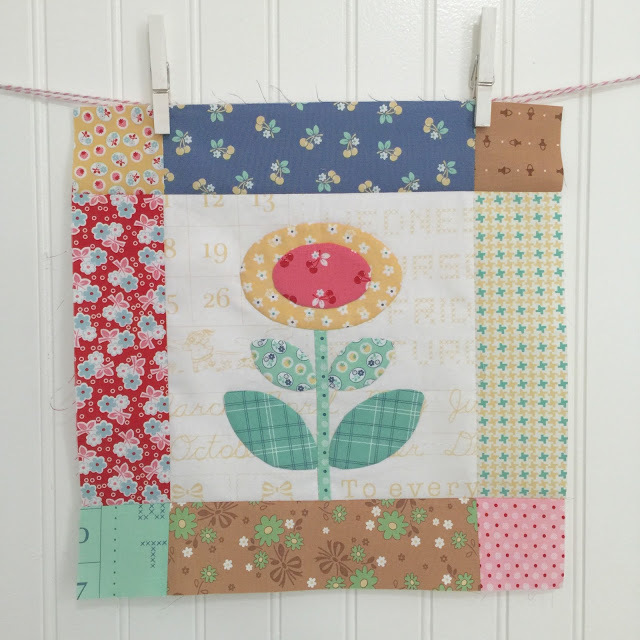 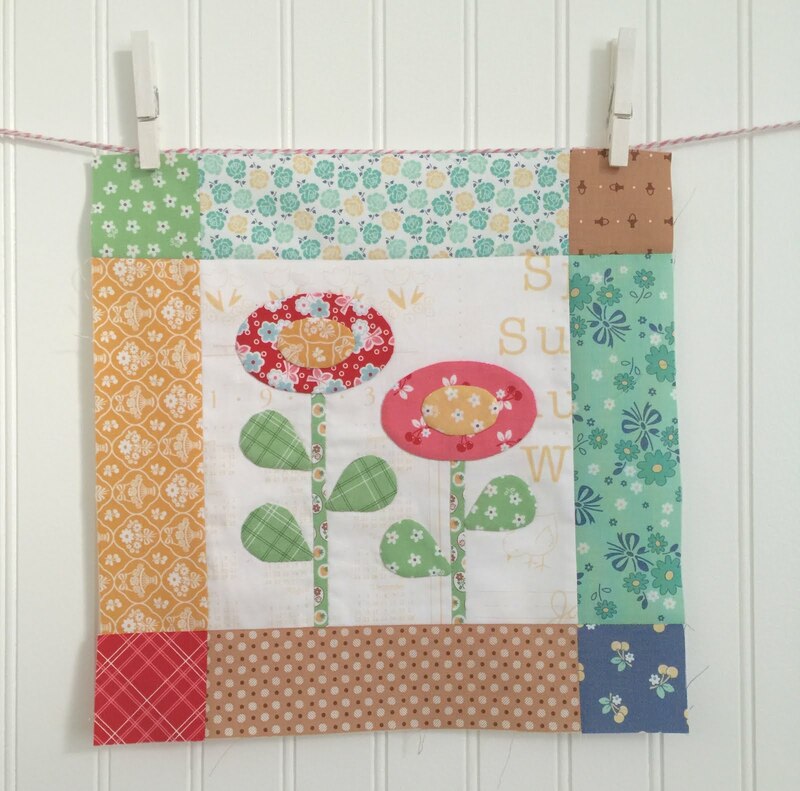 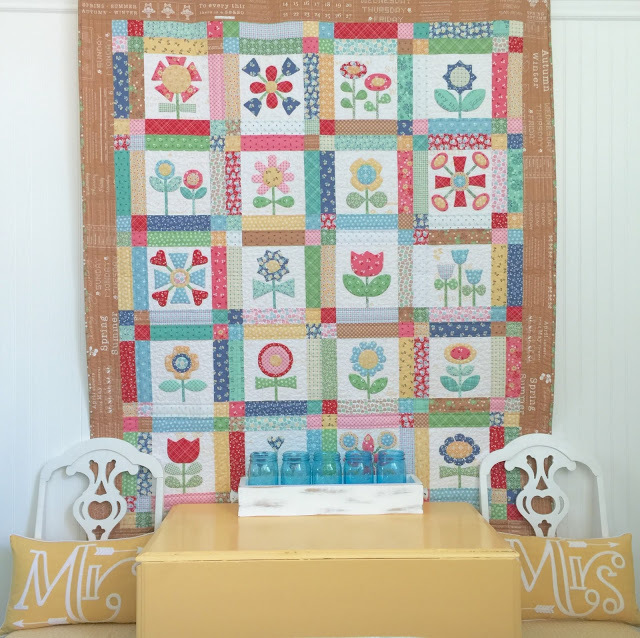 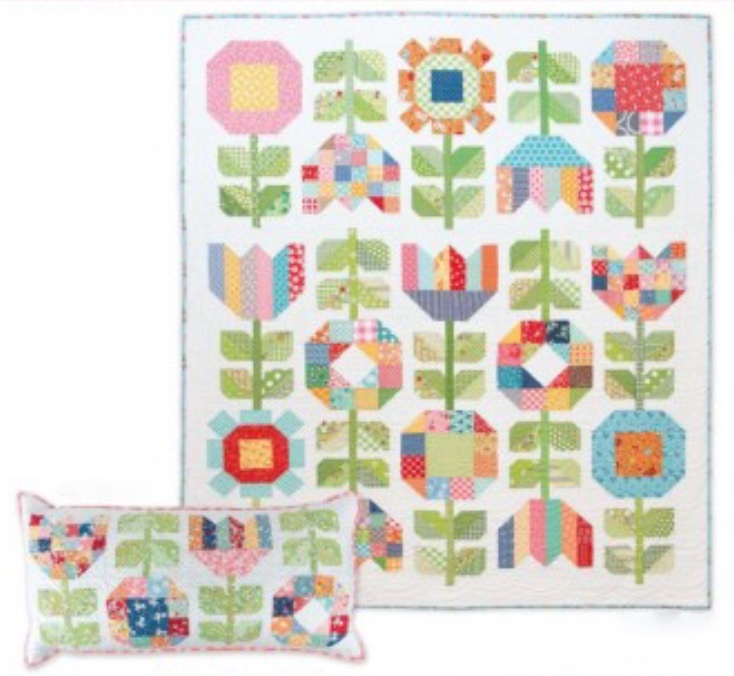 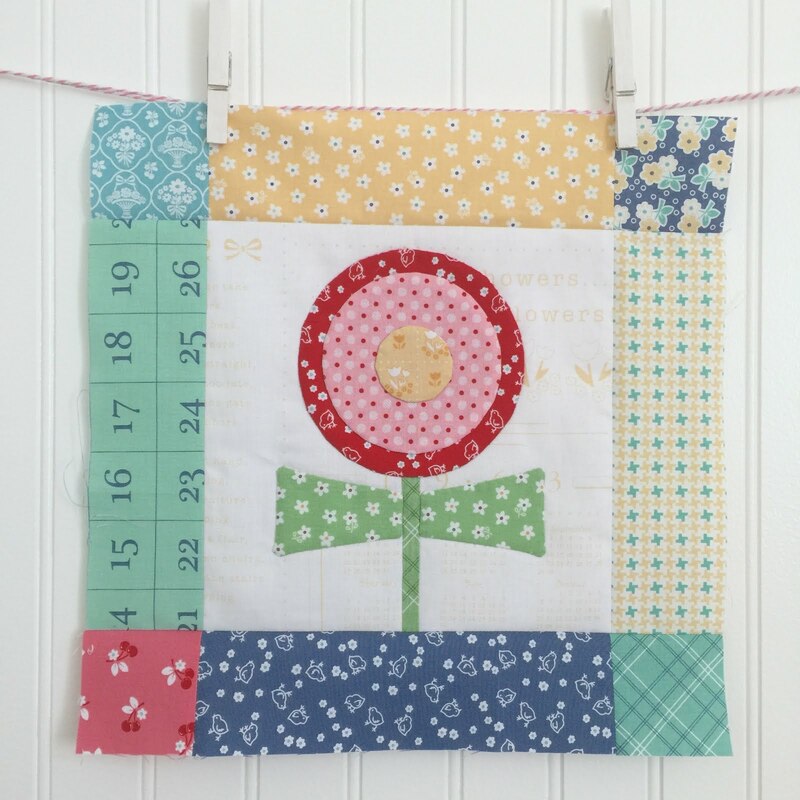 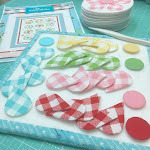 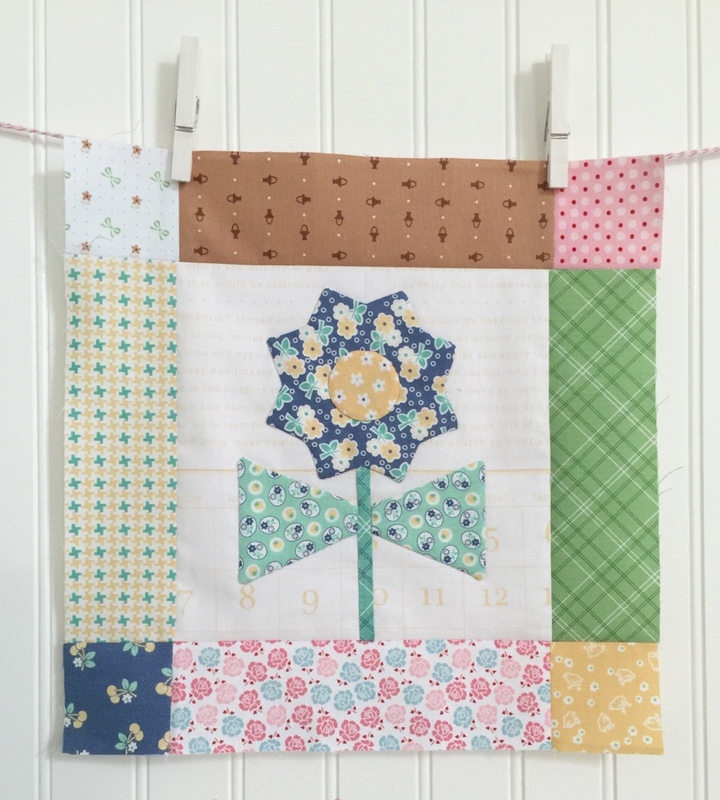 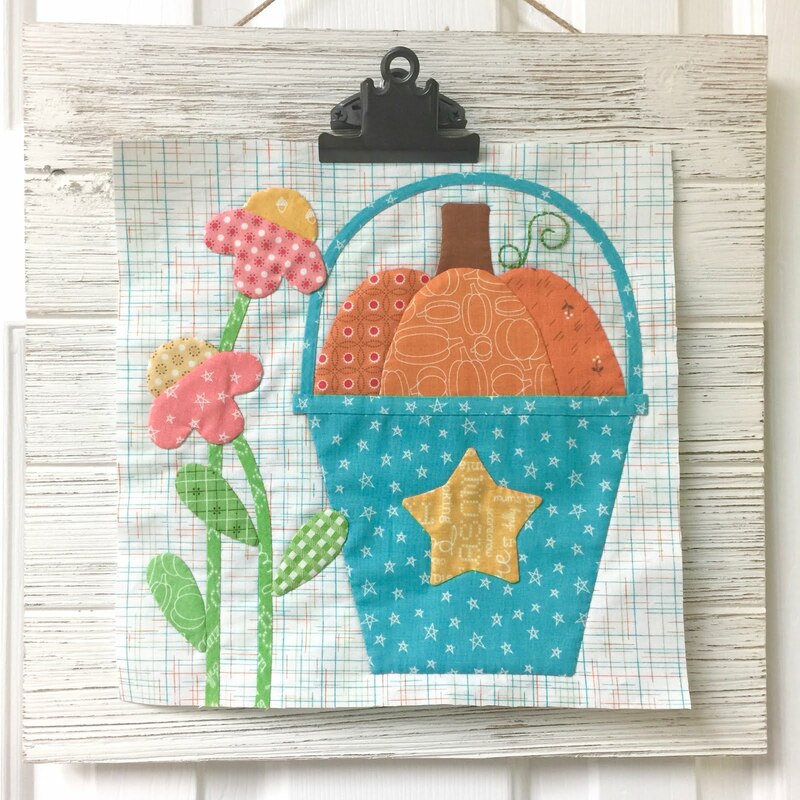 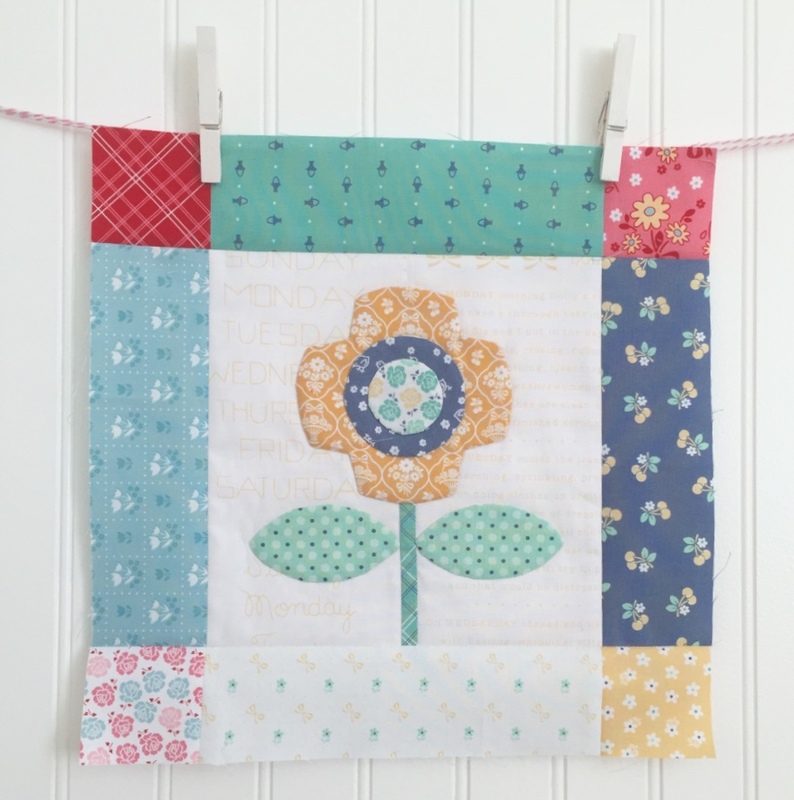 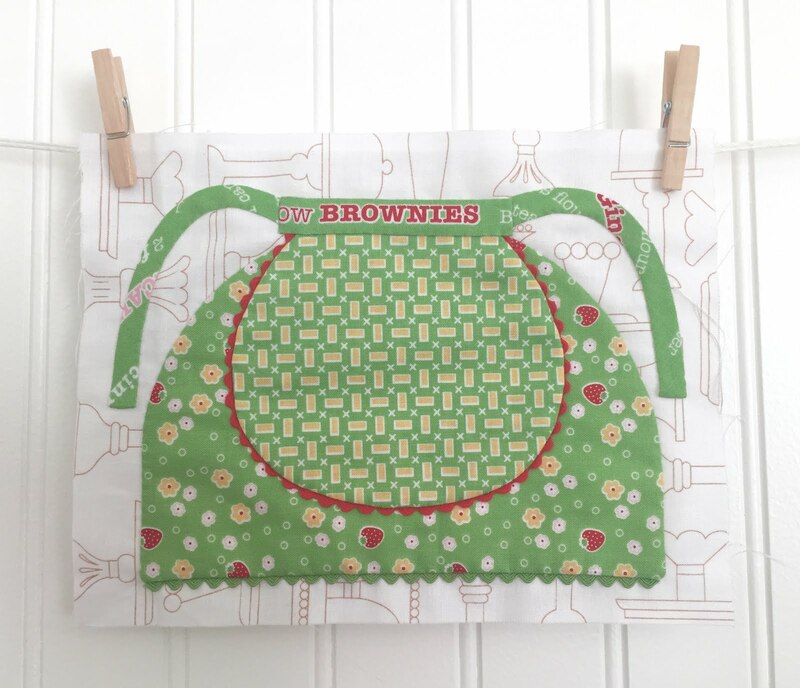 Welcome to week #3 in our sew along! 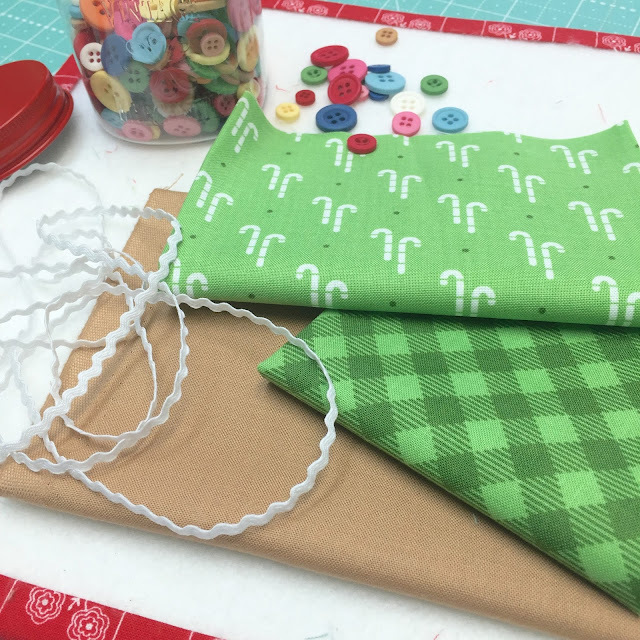 Cozy Christmas fabric and I hope you are too! and interfacing according to the guide. 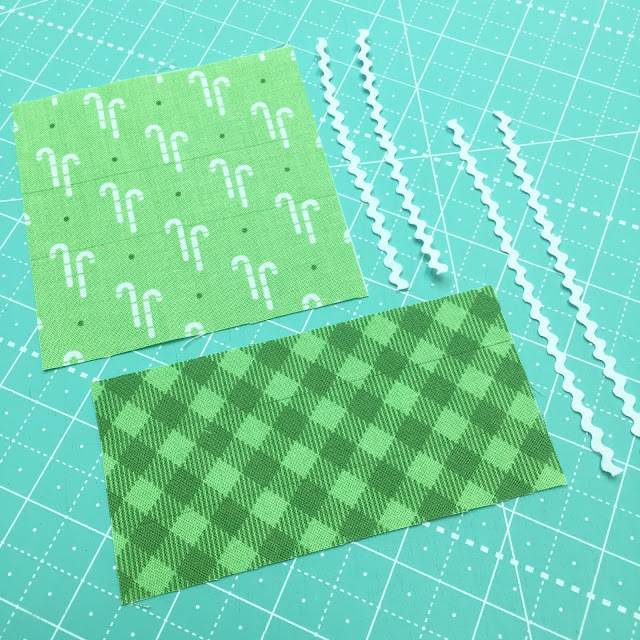 This is how wide your fabric pieces are cut as well. 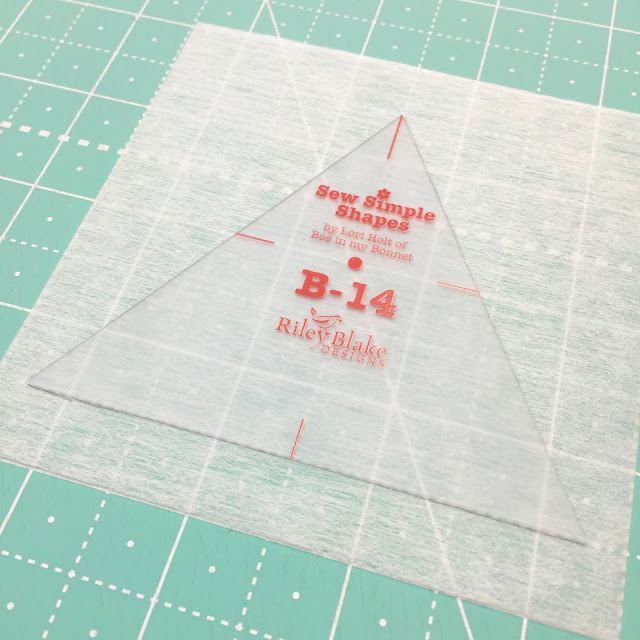 top and the bottom and mark a thin line with a mechanical pencil. 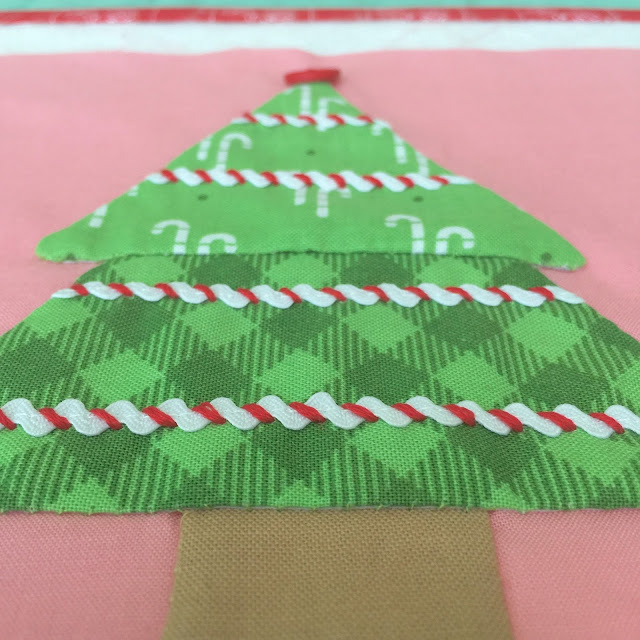 the top and bottom and mark lines as well. Now topstitch the ric-rac into place like this. 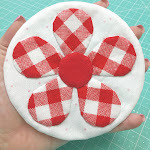 ...and for this step especially it helps a lot! 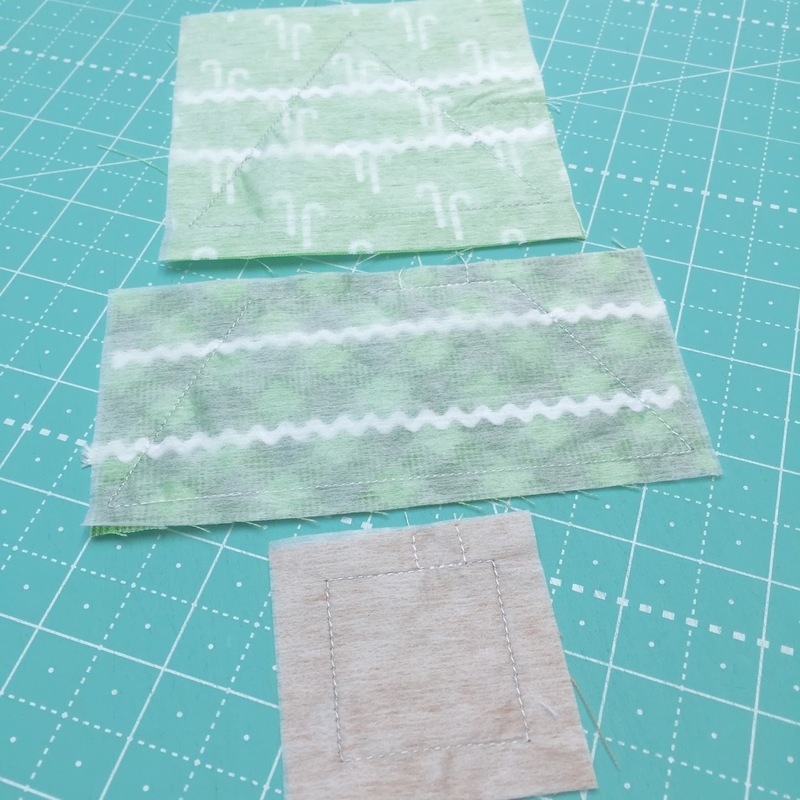 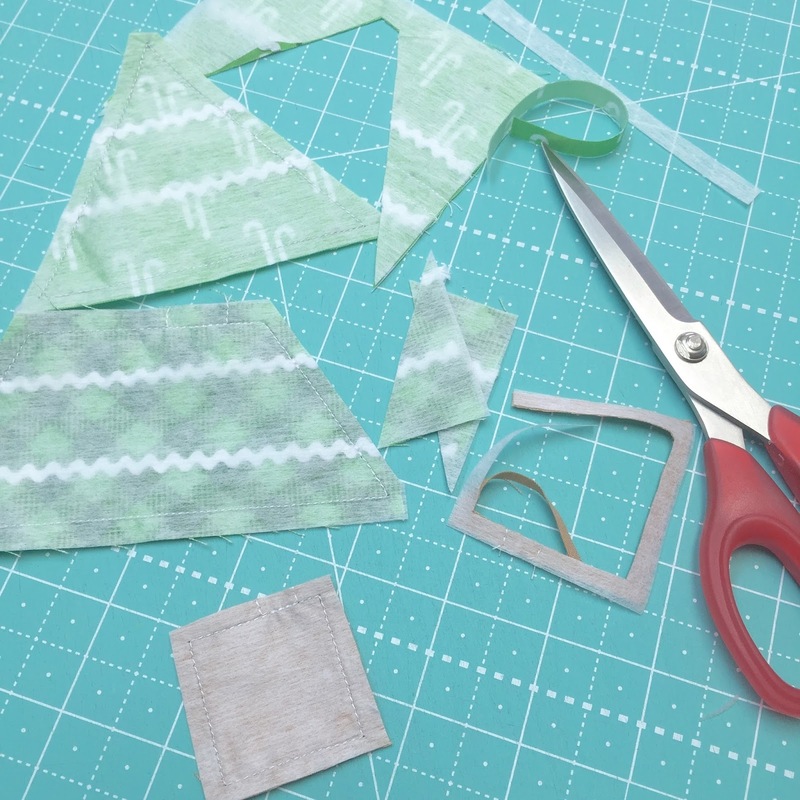 Trace your sewing lines onto the interfacing pieces. 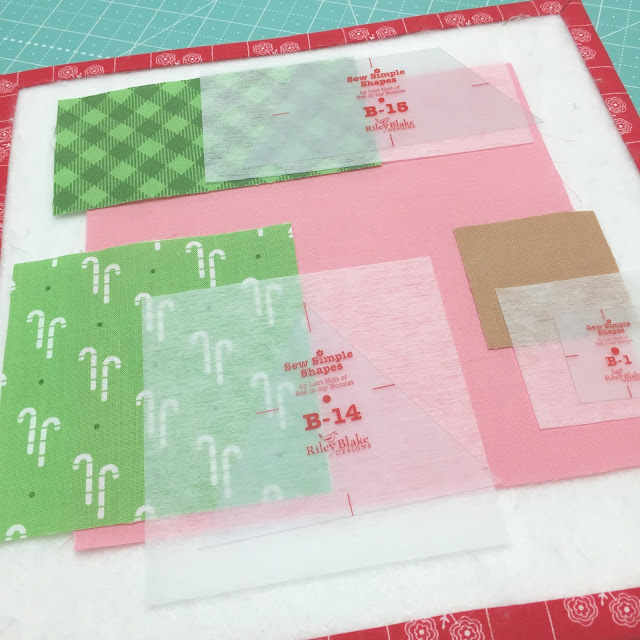 cutting mat to help with this. 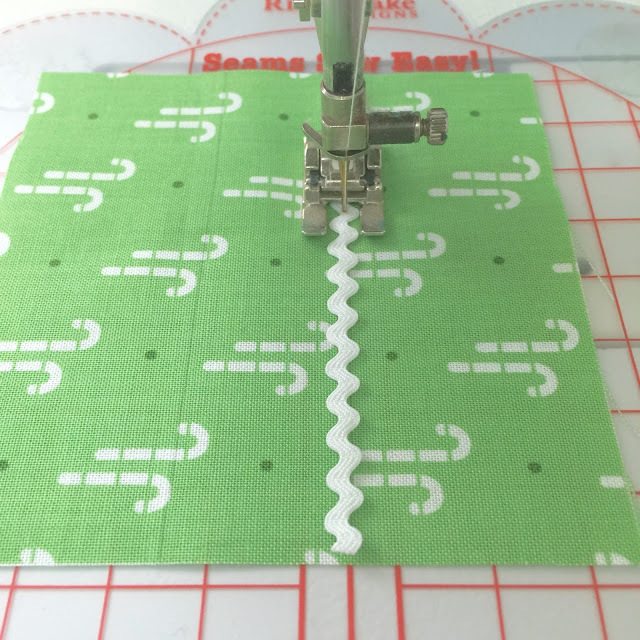 your sewing lines like this. 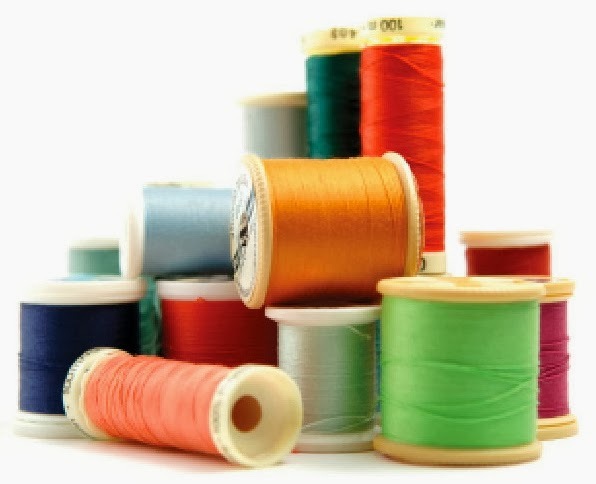 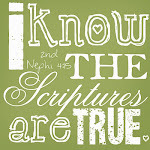 in the center of your interfacing. the bottom edge when placing your pieces. 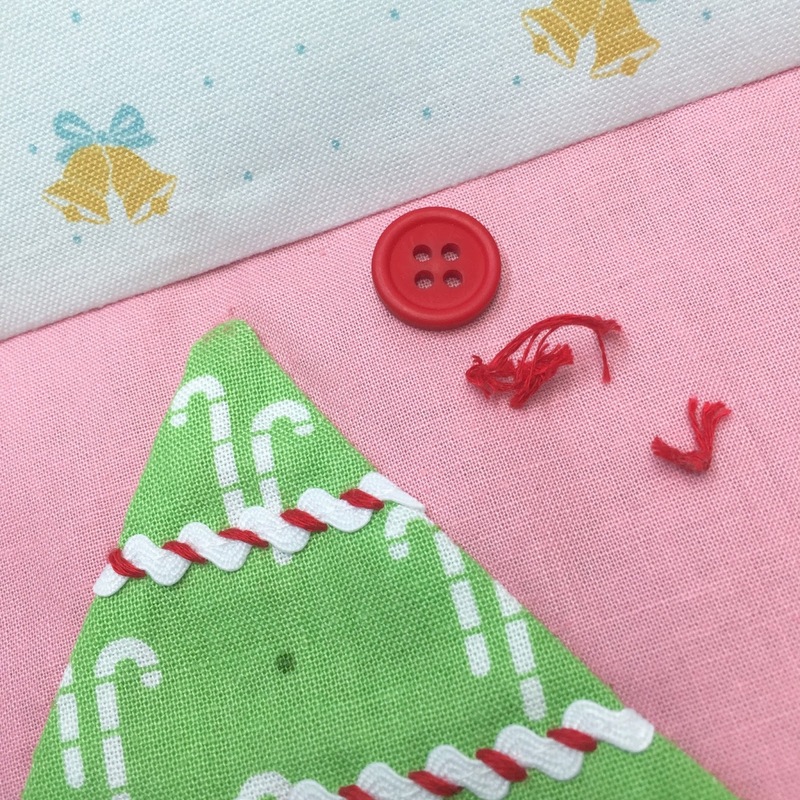 and also to do the traditional decorative stitch over the ric-rac! 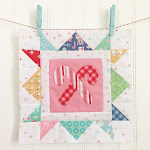 a cute candy cane striped garland! 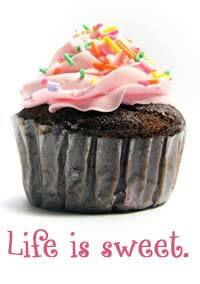 if you are just starting! 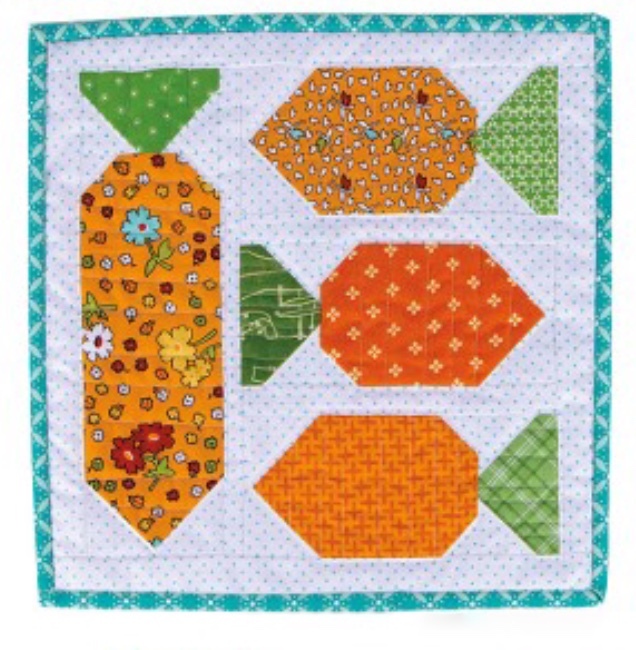 would have loved these blocks. 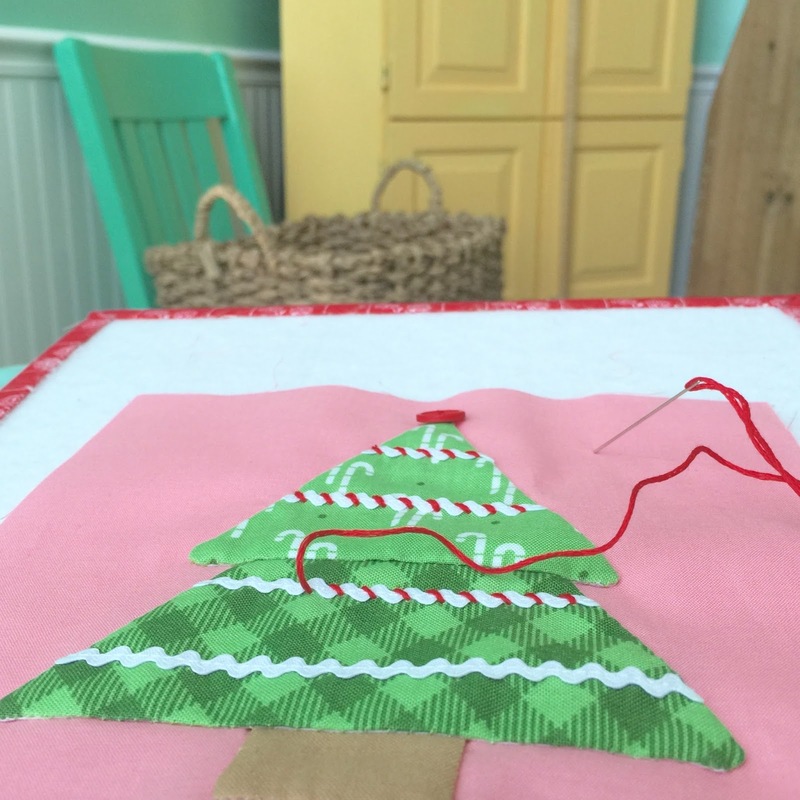 pink tinsel tree and vintage ornaments! Totally adorable! 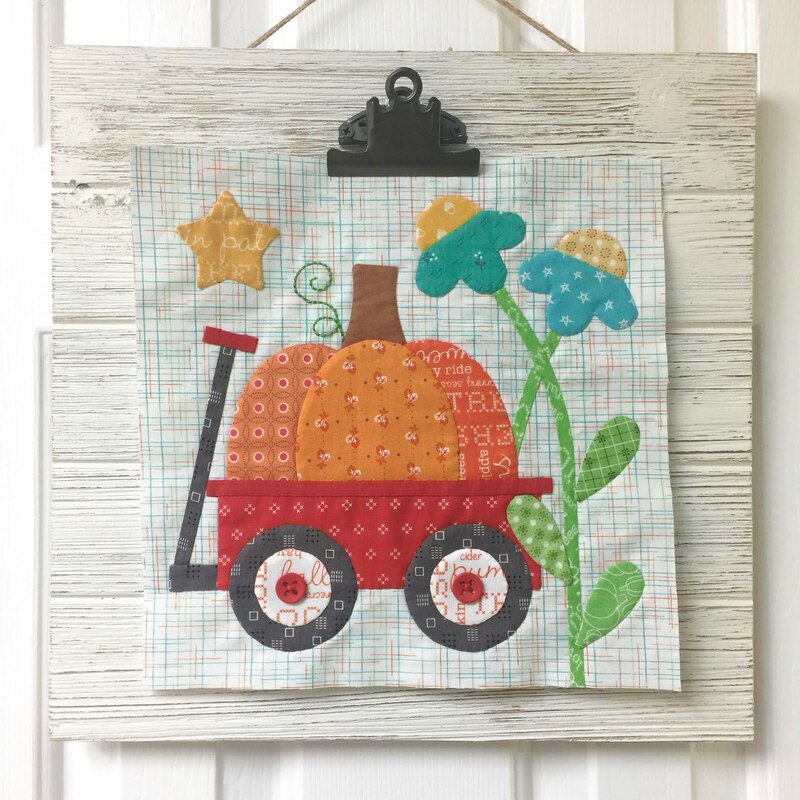 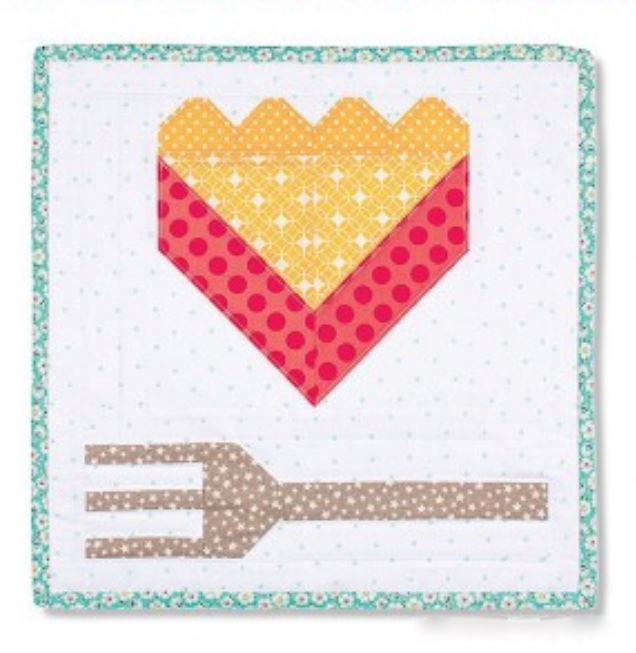 Thanks for showing us how to do that cute little detail on the ric-rac! 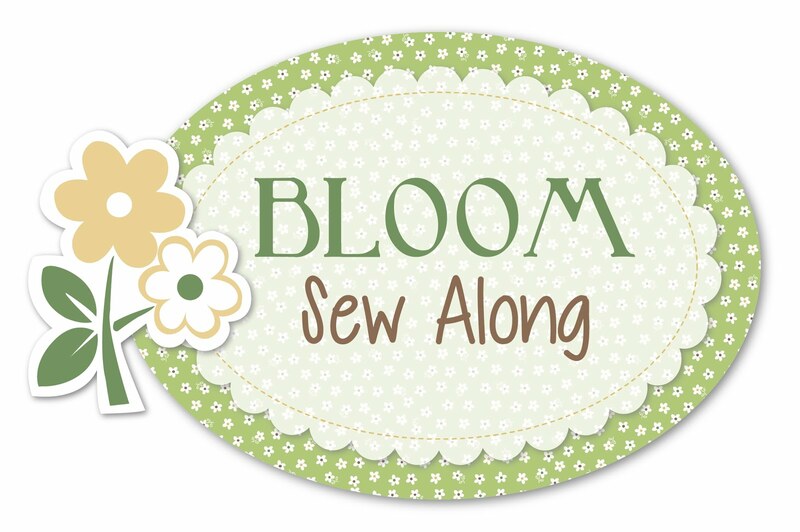 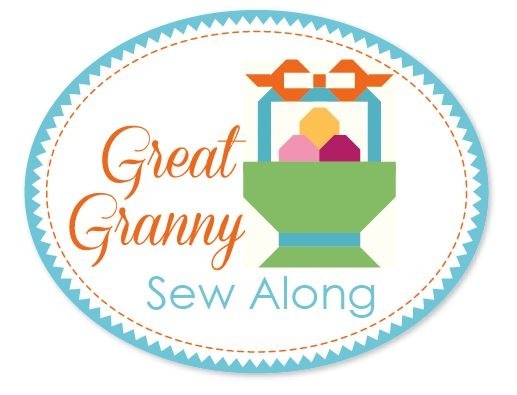 You do such fun sew alongs! 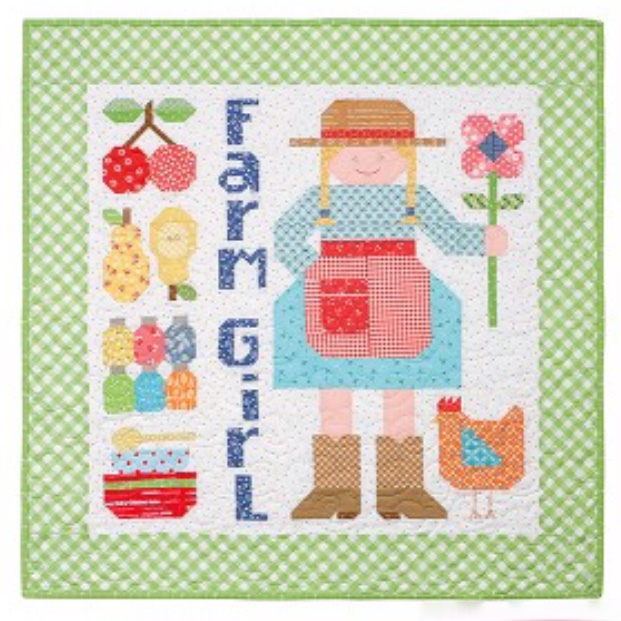 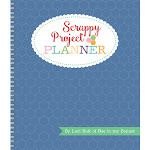 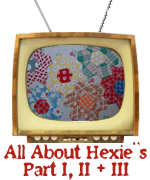 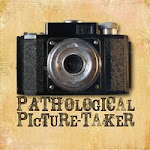 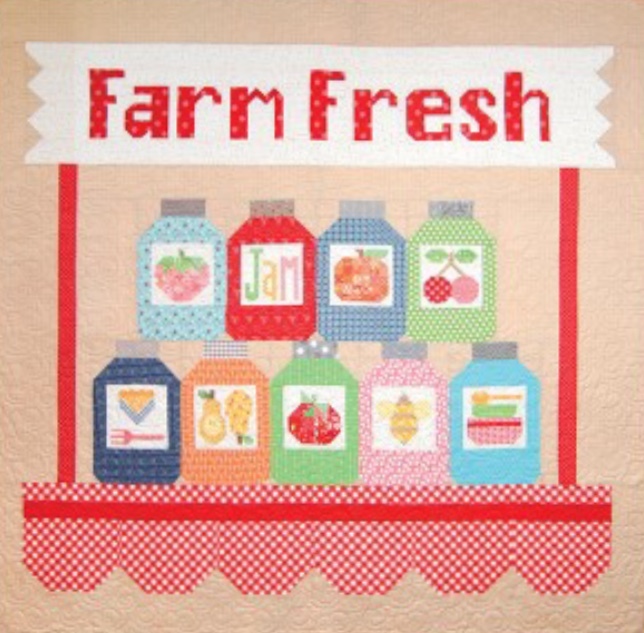 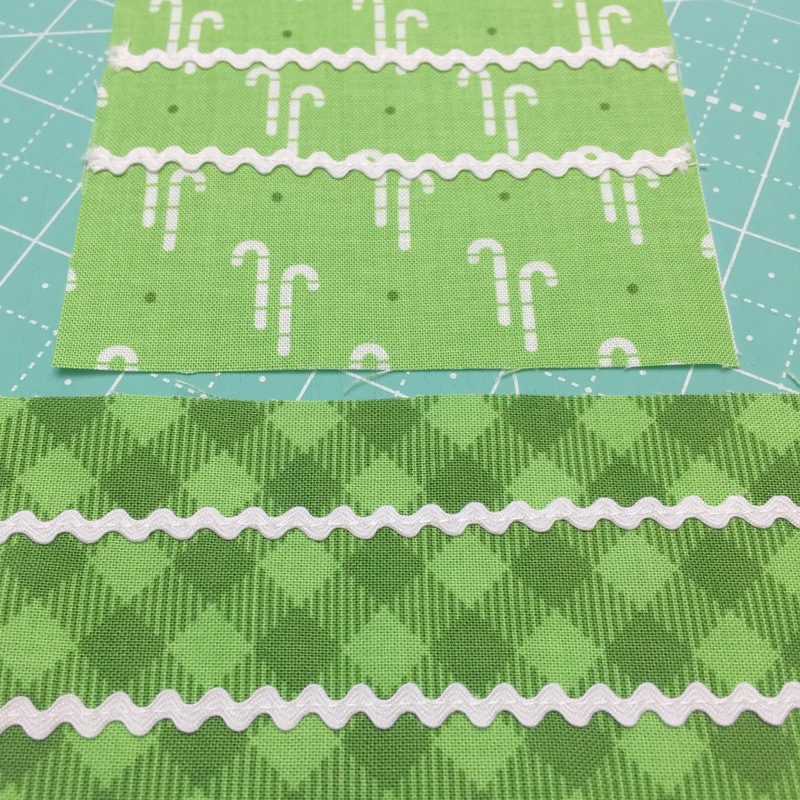 Can hardly wait for your new fabric coming in December! 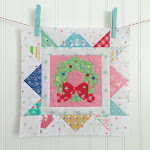 Love this with the 'candy cane' garland. 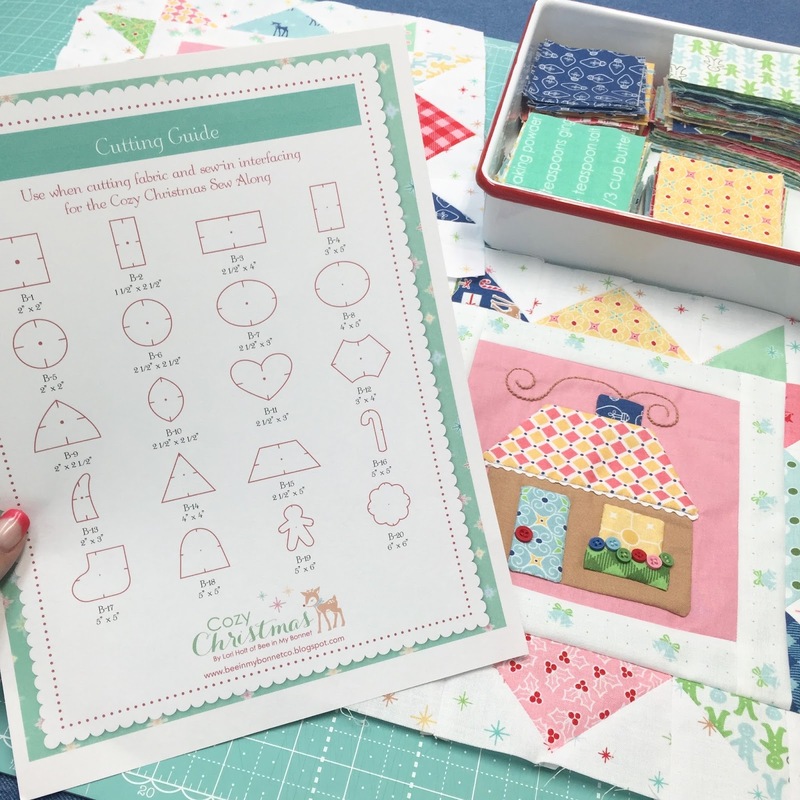 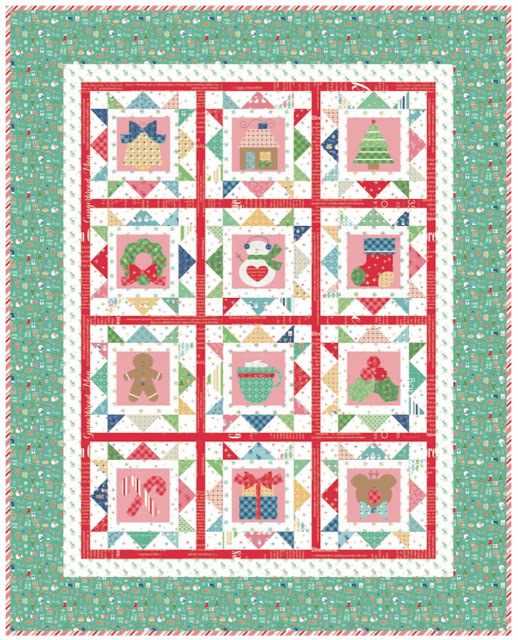 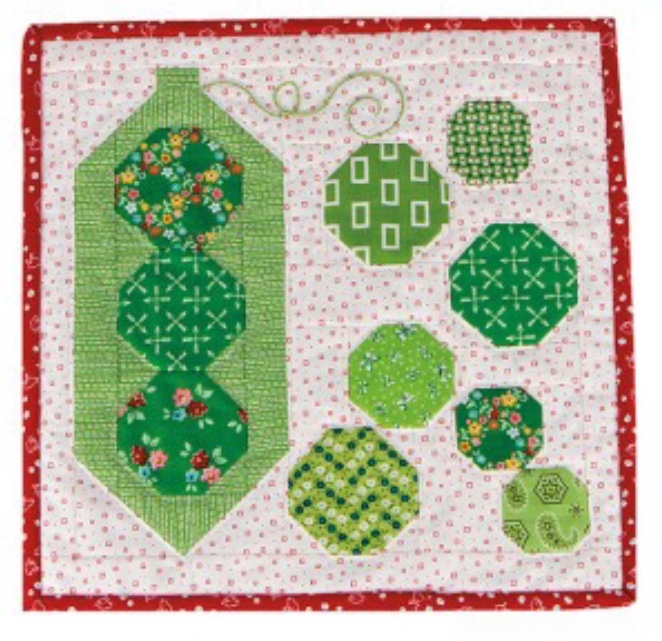 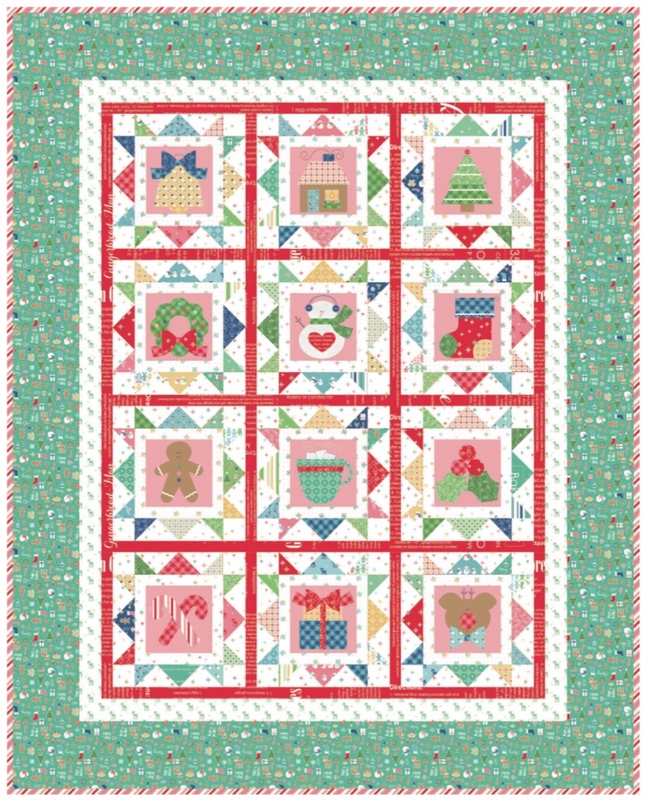 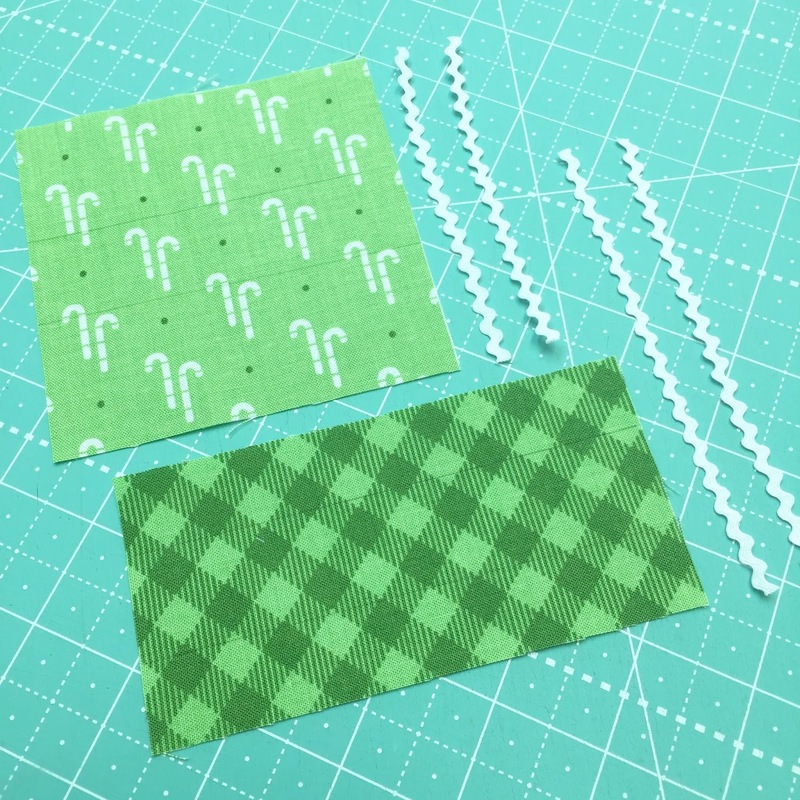 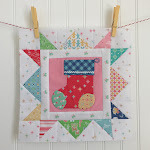 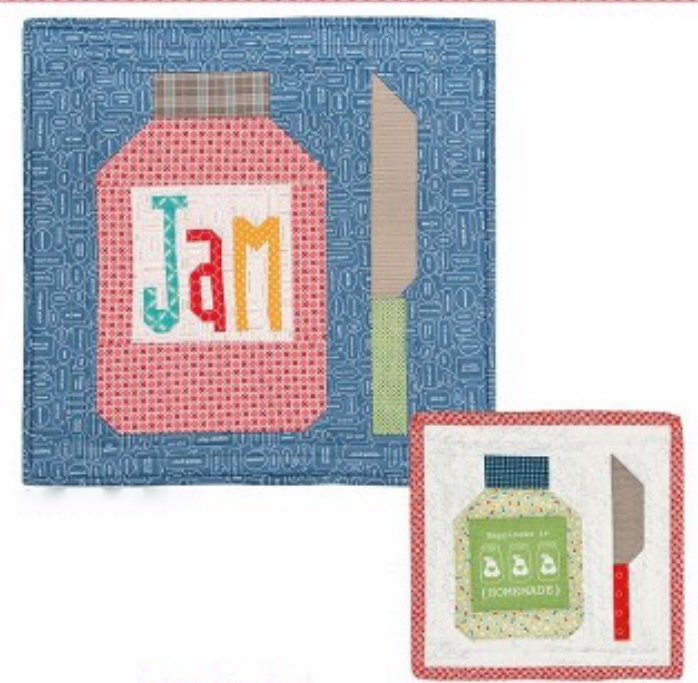 I really look forward to my Mondays and sewing along with these Christmas Blocks :)! I'm a little bit behind because this is my first hand appliqué and I am loving it!!! 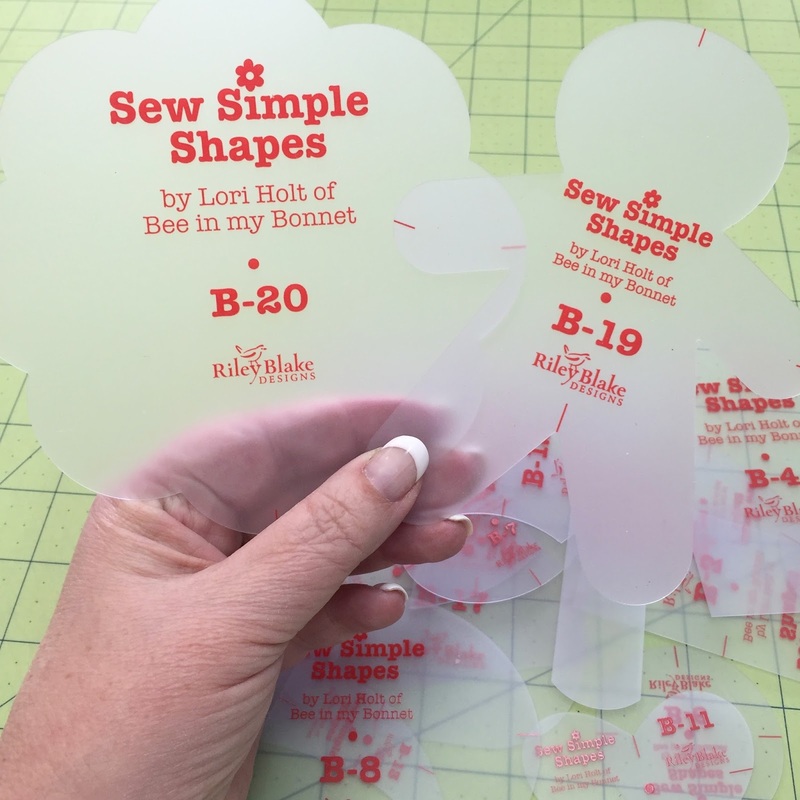 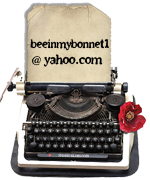 I am taking my time and being perfectly neat with Lori's wonderful, easy, instructions. 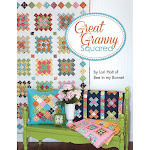 Thanks so much Lori.